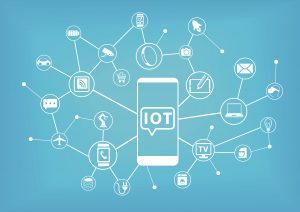 IoT is Transforming Technology | HOBI International, Inc.
Our world is rapidly being transformed by smart devices. And in our daily lives, we’ll begin to see more IoT devices to the point where every practical commonplace item will have some method of connecting to the internet and communicating with other devices. We can already see evidence of such progress in the evolution of our smartphones and the introduction of smart home devices. In fact, interconnectedness is the new normal evident by the proliferation of AI-powered personal assistants like the Google Home and Amazon Alexa. In recent years, we have witnessed the idea of a smart home go from fictional to nonchalant reality. We are experiencing an amazing technological revolution in real time and can only hope to benefit from the phasic shift. Our smartphones are already large parts of our lives, whether we like that fact or not. Recently, smartphones have become even more robust thanks to the integration of AI enabled assistants and greater processing speed. The new phones will feature advanced Bluetooth technology and active GPS which will allow for the conditional sharing of information in the hopes that we all contribute an endless stream of data into the cloud for the purposes of research and marketing. The most exciting progression of our devices, however, is in the realm of the mundane. The evolution of our doorbells and light bulbs has sparked an incredible question as to how far IoT technology can go. These new features shake up our old views on the previously dull. It is, actually surprisingly, in this realm of home devices that we see the greatest example of the Internet of Things. We have devices that control individual things all working in concert with our computers and phones to share data and interact. This is the nutshell regarding IoT, all our devices working in tandem over the internet.